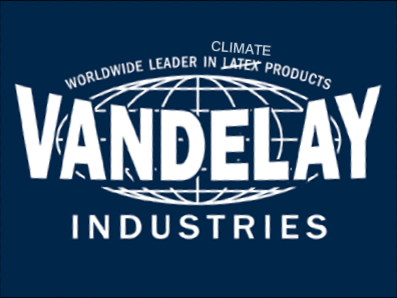 NASA GISS, a division of Vandelay Industries? | Watts Up With That? NASA GISS, a division of Vandelay Industries? Some days I find things by accident. Today, researching for something else online, serendipity paid me a visit. Fans of the hit sitcom “Seinfeld” may recognize this logo. OK by now you are probably thinking, “Anthony has gone off his rocker. Where is this going?” Well, to be honest, I just want to share a little fun. Have your ever wondered why over at RC, it seems to be like some sort of weird sitcom? There’s a reason for that. 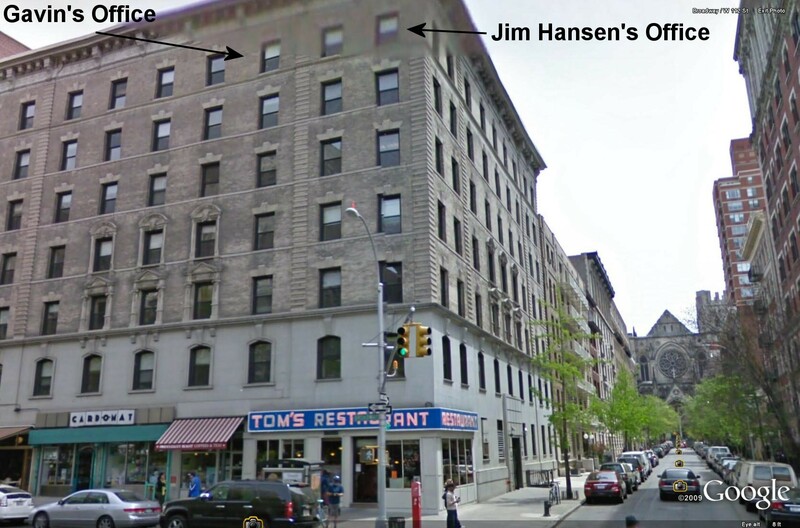 While I’m no architect, doing a little reading up, I think we can see where Jim and Gavin’s offices are, though I could be wrong. Gavin’s may be on 112th rather than Broadway. So now that we’ve established that GISS and RC is connected to “the show about nothing” you can use some of the best lines from Seinfeld to refute a number of common arguments put up by Gavin and the RC team. 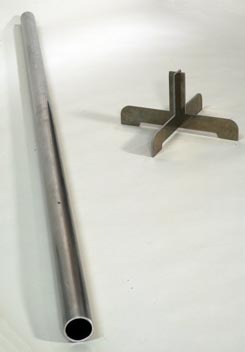 Also, this coming December 23rd, I plan on sending Gavin a calibrated aluminum pole to help him and Steig measure sea ice thickness. Readers may wish to send a card also, listing grievances. October 21, 2009 in Fun_stuff, Satire. His smirk gives him away. Trans: Better and smarter than everyone else. Isn’t he….and his boss…aren’t they….public servants….funded by the taxpayer? Just because your beloved AGW is not occurring…that does not mean that you can just sit there and smirk. Get to work, public servant. There is much work to be done…..many scientific problems to be solved….many more significant and legit trees to bark up, besides the AGW tree. Hmmm. Bill Maher often rants that Global Warming is dire too. I get it now! The last defenders of AGW are all comedians! Gavin looks well wrapped up against global warming there. Wait a second, that would imply that Bill Maher is funny. He is really just vulgar and narcissistic, which passes for funny these days. Are those larches on 112th Street? I guess there is a Stevenson screen. It’s secret. It’s THE ONE thermometer which tells the global mean temp. It does make sense though as the main writer for the show was Larry David and his ex-wife Laurie David is a big time “environmentalist”. It also makes sense that I say “Gavin” the same way Jerry says “Newman”!!!! My own belief concerning anthropogenic climate change is that the models do not realistically simulate the climate system because there are many very important sub-grid scale processes that the models either replicate poorly or completely omit. Furthermore, some scientists have manipulated the observed data to justify their model results. In doing so, they neither explain what they have modified in the observations, nor explain how they did it. They have resisted making their work transparent so that it can be replicated independently by other scientists. This is clearly contrary to how science should be done. Thus there is no rational justification for using climate model forecasts to determine public policy. Dr, James Hansen — No soup for you! How could you possibly miss George’s line??? Gavin looks like George kinda. For funny impersonations of Seinfield, check out Frank Caliendo’s impersonations. 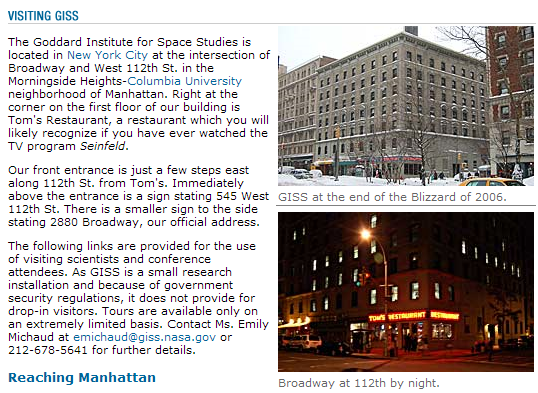 Actually, the mere fact that the GISS folks are in Manhattan tends to explain a few things. You, Gavin, are the doofus! 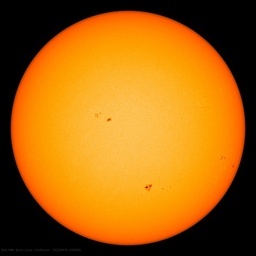 NOAA understands and predicts changes in the Earth’s environment, from the depths of the oceans to surface of the sun. Anthony Watts — Serenity now! Serenity now! Yo Mods… what gives… you gonna steal my line? NASA GISS is simply following the route of all organisations trying to peddle a political belief while remaining at arms length, set up a media outlet where they can push biased and iffy/dodgy information that because of their status and funding they would not be allowed to peddle without accusations of bias and bad practice. Its a very clever way of doing it isnt it? The two are the same with the same views and information exchange in reality but the two have to be seen as seperate from each other, at least on the surface. I believe the CIA used front arms length mouthpieces to further its ends, as did the KGB/MI5-6. Lets just imagine that both groups sit down together all the time to work out a combined strategy by sharing information that other groups are excluded from, lets also imagine that while one group couldnt publish data because it would breach standards, the other group could. Of course this kind of grubby secret media manipulation and scheming wouldnt go down too well with federal oversight regulators would it? Unless of course those oversight mechanisms were sabotaged first. Do you suppose that represents the GISS mission statement? But seriously Anthony, multiple midge posts, “edible pets”, and now Seinfeld, you seem to be developing quite a scampish streak lately. I hope your continual battle with the forces of alarmism isn’t finally driving you to drink. No they’re not Larches on 112th, they are definitely Bristlecones. There are lies, damn lies and statistics. I’m not a TV viewer but manged to view a few Seinfeld’s in my time. A grand goof of a show. Great stuff. And finding this connection between Seinfeld and NASA is priceless. Thank you! My brain is wracking (racking) to come up with some sort of connection here to the line They are real and they are spectacular. (You either know the line or don’t. ☺) … maybe Jim Hansen in drag saying that line. Or him saying that in response to the Hockey Stick or the IPCC climate models. The mind boggles. It is all very surreal and weird. INSTANT replay, with video, in my head, Clive! Just for fun, read this about global protestations for Sat 24th October organised by 350.com et al. I just love the confession McKibben makes about it all being a religeon! Servants are people you voluntarily pay for services. Bosses are people who make you pay for services whether you want them or not. I wonder if Lloyd Braun works there. I think, speaking from econometrics experience, modeling should be added to the end of that list. Seinfeld show ended in 1998. It was still hot up to then but the comedy/hockey stick had to end somewhere. Unless of course if Seinfeld/AGW is real. I have another few quotes sets here.. FINALLY! My stupidity has paid off. I wonder if the restaurant serves corn dogs. Corned dog for St. Patty’s Day, of course. As to the GISS numbers – They’re real and they’re spectacular! “He said the world was warming, but there was no warming! There was nothing! And, surely, downtown NYC must be one of the most expensive places to run a public-funded research facility. Just remember this when congress starts imposing new taxes to attempt to pay for the 1.4 trillion dollars in debt that has been racked up this year in the name of stimulus. I wonder if Gavin or James enters a room the same way Kramer does. I can hear Hansen now when he proposed they change it from Global Warming to Climate Change, “Yeah that’s one I made up…sort of a catch-all”. BTW, that’s Kramer from the Frogger episode when he came up with “Son of Dad” as a potential name for the Lopper. Seinfeld is such a New York show – I’ve often wondered why the rest of the nation found it funny. And BTW, Gavin looks a bit like the “real Kramer,” a fellow from the neighborhood who supposedly inspired the sitcom character, and who now gives local tours. I’ve been in the GISS building several times, never the diner. Only the outside was used on the show – the interior is a set in Burbank. 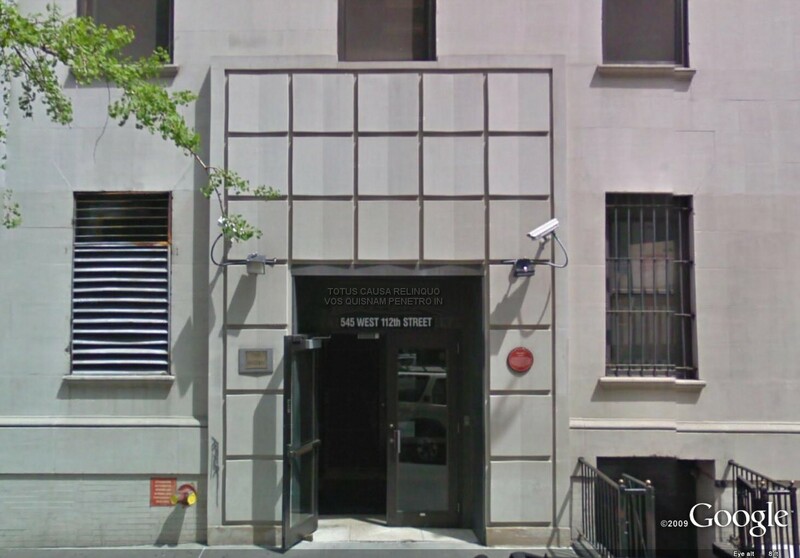 As for their sharing an address, this is one of the fun things about doing digital map work (GIS) in NYC. Some buildings have many addresses, even taking up an entire block. On field visits, finding the correct door can sometimes be an adventure. You will be happy to know that, as far as I could tell, the interior of GISS is quite spartan. No gold-plated toilet fixtures or lavish liquor cabinets. Just ratty academic style furnishings. My gues is that within a weak somebody might trow an egg against there window. Doh! I just realised the problem with GISS temperature records. That restaurant in on the ground floor. Restaurants produce lots of heat & hot air when cooking. Heat rises, (at least it used to). Therefore Hansen’s temps are bound to be higher than everyone elses on the top floor, no? Unfortunately (or maybe fortunately) I never saw the show so the humor escapes me. Wow, so this *is* the place of the Suzanne Vega’s famous song. They should have an opposite year. i.e. be skeptics for a year. A whole new world would open up to them. China is much more advanced civilization than America. The latin phrase is in the photo of the main entrance to the Goddard Institute . That Gavin smirk results from his extreme censoring, altering and blocking of comments at his RC blog. No where can one find a more egregious blog operation than Gavin’s. Nothing is out of line for him. That’s why RC threads NEVER have the heated debates one would expect. It’s simply not allowed. Additionally there’s a couple of regulars, Mark and Ray, who get free reign to belittle the skeptics with a daily barrage of ultra condescending disparagement. Which Gavin then truncates responses to. It’s his way of keeping the discussion robust. … ihave had it all. My office building in a park near a golf course required snow removal and landscape services. I could park near my door and I had a fireplace. I moved to an office tower with a Petroleum club on top, restaurant and attached garage for my car. It also had advantages. 136.Is it not politically correct to prerequisite the words “Climate Change” with the words “Man-Made Climate Change”? Stop being silly! You sound like of those people whose opinions on physical facts are driven by their politics and cannot imagine any one whose politics might be modified by their evaluation of scientific facts. Sad! However, Flack, your opinions aren’t apparently based on scientific facts only leaving one option left to choose. I have a feeling that site is being overwhelmed with comments from the Non-Man-Made Climate Change believers. Yes, Dr. Schmidt, but are you master of your domain? @Adolpho. With a significant amount of brain pain and the use of several translation web sites, I venture (latin to english): ” Abandon all causes, you who enter. ” Never could conjugate latin verbs. I hope the translation is close to this version, because of the causes carried out daily by those who enter through this portal. Serendipity indeed. This is really a case for a Dan Brown’s new novel!. The Illuminati behind the global warming scam!, coal trains, astrophysicists against an enernal universe, etc.etc. Wow, what a thriller! Oh, my guess was “Abandon hope all ye who enter here,” the supposed inscription at the entrance to Hell. Hey, the devil’s work goes on in there! Note for Gavin over at RC. Please note that AGW skeptics are NOT “climate change deniers” as your devotees on your blog keep telling each other. Actually quite the opposite. Kramer: It’s an adjustment for them. Jerry: How is it an adjustment? Kramer: They just adjust it. Jerry: Adjust it off what? Kramer: Jerry, all these big data sets, they adjust everything. Jerry: You don’t even know what an adjustment is. Kramer: But they do. And they’re the ones adjusting it. Jerry: I wish I could have the last 20 seconds of my life back. Curiousgeorge and Anthony: Don’t bother with O’Reilly at Fox News. He is and AGW koolaid addict. Glenn Beck and most of the Fox News anchors are either anti-AGW or open minded on the subject. Geoff from Ourimbah (02:07:06) – More likely the Mannzier . Was that an MMTS shelter on the roof right next to the grill vent from the diner? In any case, I’m sure Gavin must have the perfect parking spot. He sure does not have the “Kavorka”. The shot of Gavin Schmidt: He is sitting on a bench in the “island” in the middle of Broadway. Both windows are on Broadway. Photo faces east (uptown is to the left). Al started at a Divinity School, but quit when he found out they were only going to teach him about God, not how to become God. He’s been pursuing a self- directed course of study on his own ever since. Did you notice this exchange over at RC where Gavin says he reads over at WUWT? Come on Gav – give us something more to chuckle about. Then you’ll have one scientist against a pair. These people aren’t arguing about science. They’re arguing _against_ science. On that they agree. So, Gavin – you a regular over there at WUWT? How come you never comment? I think this joke will probably cost GISS to move out from that location, because if they don’t fans won’t let them work in their models. George Costanza wandering into their offices while looking for the men’s room and doing what George Costanza usually did to their files. . . . is as good an explanation for “the Hockey Stick” as any I have yet heard. Jim: Oh… You mean… shrinkage. Jim: So you feel you were short changed. misapprehension. That was not me, Jim. That was not me. Jim: Well, so what’s the difference? Gavin: What if He discusses it with Barack? Jim: Oh, he’s not gonna tell Barack. Gavin: How do you know? Jim: Politicians aren’t like us. everything! Couldn’t you at least tell him about the shrinkage factor? the hall) Lisa! Get! (She enters) Do politicians know about shrinkage? Lisa (P. Jackson): What do you mean, like laundry? Jim: Like a frightened turtle! Lisa: Why does it shrink? Lisa: I don’t know how you guys walk around with those things. In fact… the character of George Costanza is based on Larry David, and Laurie David was a producer on An Inconvenient Truth. George: The sea was angry that day, my friends! Hilarious! But if I may change one rebuttal…. You do realise that Dr Gavin Smirk made all these jokes before you guys thought of them? I am curious to know who owns the building. 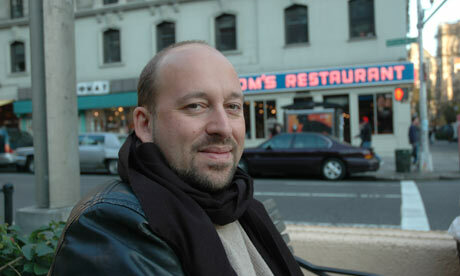 Did Hansen’s brush with Hollywood influence him to try his hand as a playwright? It is uncanny in its cynical accuracy, and Maggie Thatcher who was PM in England at the time stated it was her favourite show. I attented that “liberal bastion” of Columbia U? I took an atmospheric science course in that very building. Lord knows what future scientists and possibly team members I crossed paths with. Tom’s Restaurant is pretty weak fare of “American” food. Service was very poor, and not much English was spoken by the staff (Greek?). They proudly advertised Vega’s song being about them despite it not exactly being complimentary about the service. That should start, “I attended that ‘liberal bastion’ of Columbia U. Not sure what was on my mind to type THAT badly. My alma mater takes another hit. Yeah. But either way….in the good US of A….if you are funded by the taxpayer (as little scarf-wrapped Gavin and his boss, Dr. Evil, are)….then either way…. …they are still public servants. Perhaps they choose the government dole because they instinctively know…in the REAL world (the world of Darwin)…they would be ripped to shreds. “Did you notice this exchange over at RC where Gavin says he reads over at WUWT? Gavin. Go on – watch the I-Squared debate again. Give yourself something more to chuckle about. OK, I know I’m late on this, but the thought just struck me last night. We all know this guy, right? Does their seem to be a resemblance to this guy?